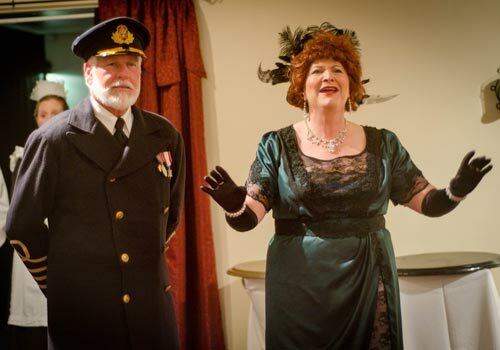 Engage with famous first-class guests of the Titanic including the captain. A dinner party appropriate for all ages. A cocktail party precedes the dinner party, exhibit tour, and re-enactments. Signature cocktails available for purchase. At our one of a kind Titanic Gala Dinner, you are a participant in one of the most famous dinner parties aboard Titanic. Join Margaret "Molly" Brown, and other 1st Class guests as you celebrate the retirement of Titanic's Legendary Captain, Edward John Smith. This event will be "a night to remember!" 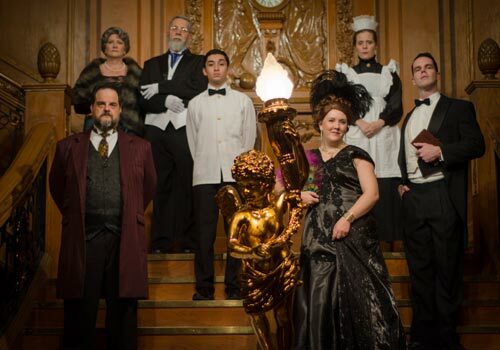 The Galas' unique experience includes a tour of Titanic The Artifact Exhibition Galleries, 1st Class Dinner, and re-enactments of the night of April 14th. Come aboard our wonderful ‘Ship of Dreams’ and help us to keep her legacy alive. Join us prior to dinner for the Captain's cocktail party starting at 6:30. Try one of our R.M.S Signature Cocktails - The 401 (Champagne based cocktail) and The Unsinkable Molly Brown (Bourbon based Cocktail). 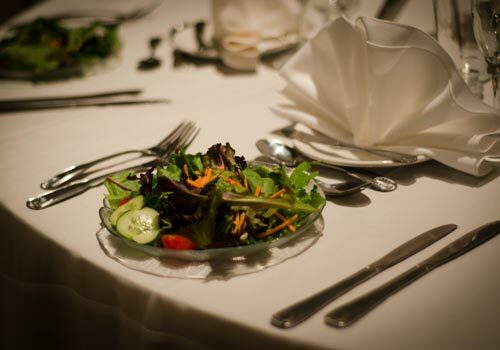 *Vegetarian and Dietary options available. Tea, Water, Coffee served with Dinner Service. A phone number will be on your voucher to call to confirm your dinner reservations as soon as you complete your purchase. Yes, all dates are subject to change and some nights may not be available due to special events. They do ask that you call the phone number listed on your E-ticket voucher to confirm seating. 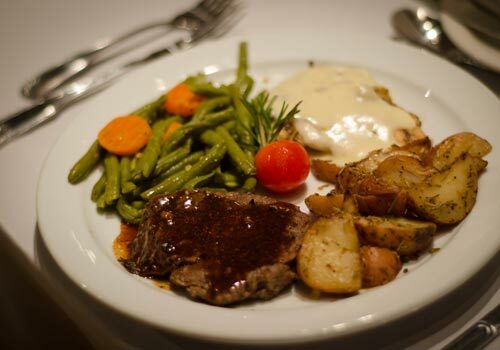 Are specialty or vegetarian or fish entrée meals available upon request? Yes, with a 48-hour advanced notice. Titanic Dinner Experience offers a vegetable penne pasta option for vegetarian guests. What does the children's meal offer? The child's meal includes chicken tenders with dill potatoes. Each table seats up to 8-10 guests. Please arrive between 6:30-6:45 pm to check in at our Purser’s Desk, obtain your boarding passes and table assignment. A cash bar will be available. You may purchase the glass or bottle. Yes, before and after the event you can mingle with each passenger. No. Due to the sensitive nature of our artifacts, there is no photography allowed in the exhibition at any time. We do not have a dress code, but this is Titanic, and you might be sitting next to a first class passenger. Do keep in mind though that some of the rooms do get cold, as we do recreate the North Atlantic.